She loves autumn. The weather simply makes her fall in love: the gleaming blue sky and the yellow leaves glistening above the green grass with the mellow afternoon sun. 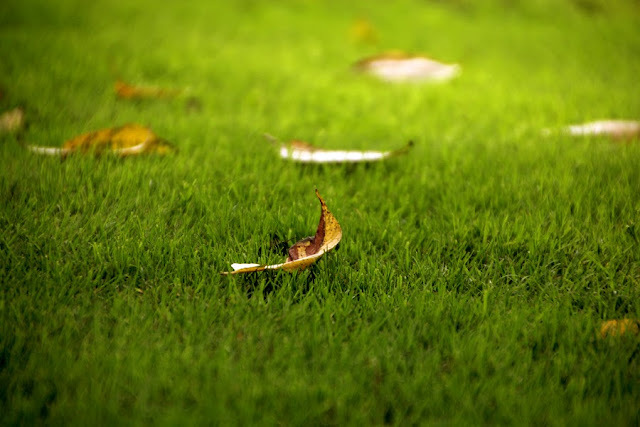 The leaves fall freely without wavering at the slightest of the breeze. The gravity seems to be at its strongest and the autumn leaves fall as if they are falling in love with the ground. She enjoyed watching the yellow and brown leaves leave their branches, dance in the air and softly reside in the soil.Autumn is the time when even the leaves are as beautiful as the flower bedecking the earth as a bride. Every single of the leaves fall off by the end of autumn.